This is one of the latest millionaire stories, in which a smart techy teenager hits the jackpot by selling his work to a big Internet company. This is the story of Nick D’Aloisio, the British teen who developed the news syndication app for iPhone – Summly. Chinese billionaire Li Ka Shing, who liked it so much, that he contacted Nick and offered a $300 000 investment into the project. This was pretty amazing news for the young entrepreneur. I can imagine his face when Li got in touch with him and told him that he would contribute a few hundred thousands to his spare time project. Just amazing news for any teenage kid that writes code in his/her spare time. D’Aloisio took the money and as any good entrepreneur used it make his project even cooler. This was how Trimit was improved and transformed into Summly. And here is how this application was born. The app extracts the most important parts of an article and shows it in a convenient way of reading on a mobile device. The latter was launched in December 2011 and achieved great success. Although it was some kind of a test version, it reached more than 200 000 downloads very soon. In a while, Summly 2.0 was released, which was much better than the previous one. More than a million dollars was raised form people who liked the app and donated to its development – some of whom Ashton Kutcher, Mark Pincus (CEO at Zynga). 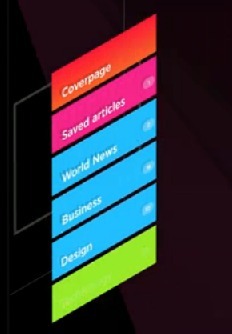 The app could cache all news on the device, so the user didn’t even need an Internet connection to read them. When the web connection was available, all news got updated. This cool widget was very quickly noticed by some big media names like News Corp. and Fox News, who saw that it can bring zounds of visitors to their websites. Recently another big dog – Yahoo spotted the potential in Summly and offered $30 000 000 for the application. Nick D’Aloisio signed the contract cashing in the millions and becoming a 17 years old multimillionaire. Chase your dreams and think smart. This is how success is achieved! So, if you liked our story, please help our site and spread it around your favorite social network. Don’t miss checking out some of the related stories below.